I hope you are all having a fabulous day! I can't believe it's almost over in two hours on the East Coast. 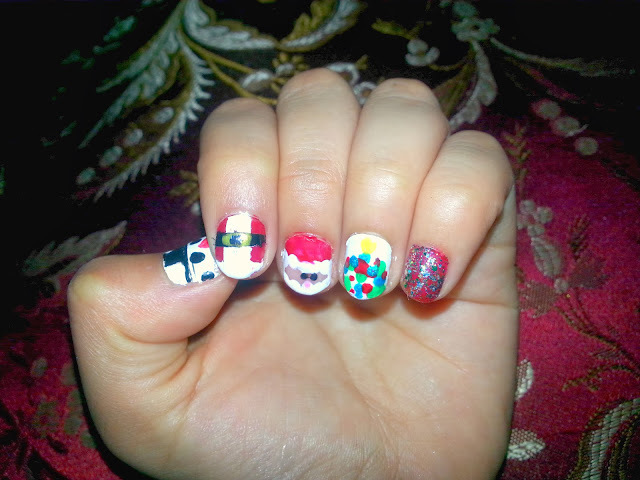 I just wanted to share some of the holiday nail art that I was rocking at my family's Christmas Eve party last night. From left to right: Frosty the Snowman, Santa's suit, Santa and a Christmas Tree. I was in the middle of making a gingerbread house when I took these photos so my hands have little crumbs on them, I apologize! This mani might look super complicated, but it was actually easy. I did this with the help of a YouTube tutorial video from Cute Polish nails which you should definitely check out. 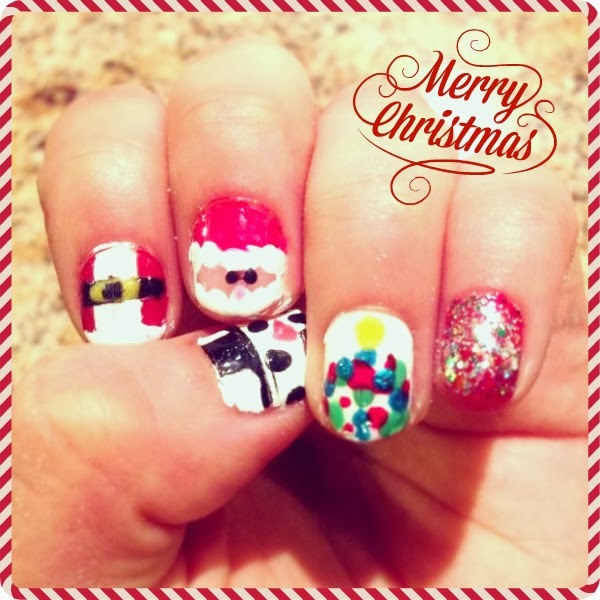 My favorite is Santa on my middle finger and his suit on my pointer, isn't he adorable?! 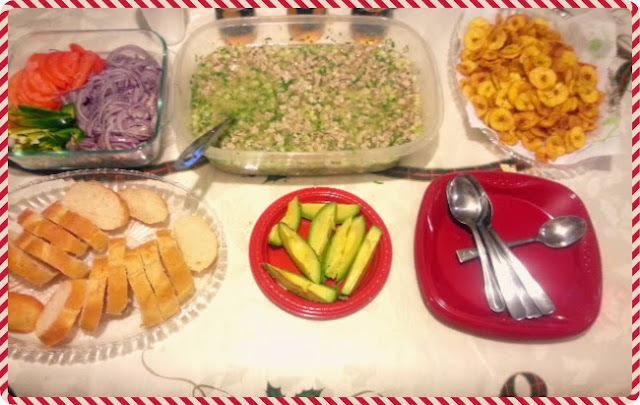 Since my family primarily celebrates on Christmas Eve, today we spent the day making and eating our favorite dish, Ceviche. It's a staple in the Ecuadorian culture where my family is from and we make it on special occasions. It's basically raw fish (not as gross as it sounds, promise) marinated in lemon and vinegar juice and topped off with cilantro, tomato, green peppers and red onions. 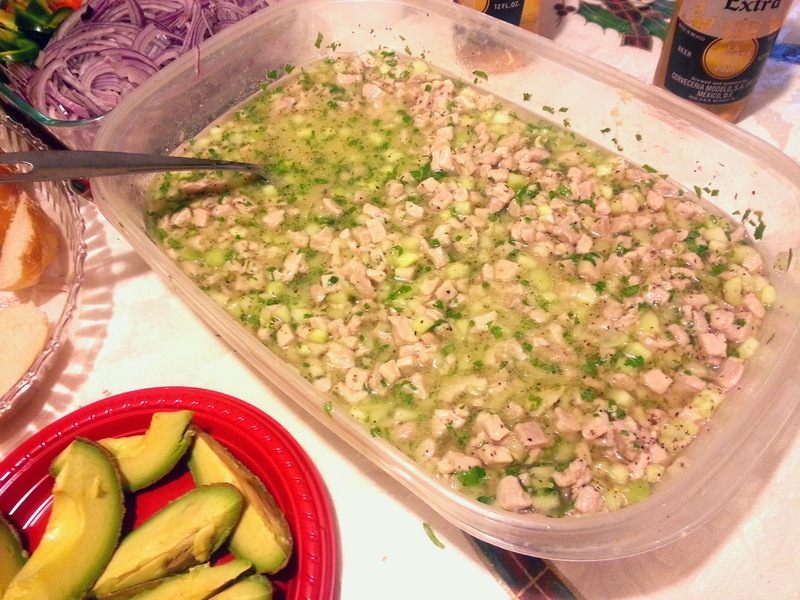 You can eat it with rice and tostones a.k.a. plantains. I love this stuff! If anyone requests the recipe, I will post it! Those nails are incredible! Santa looks awesome, I can't believe you did that. I was with friends and family, a wonderful time.